Situated just north of San Jose in the San Francisco Bay Area, this center is within minutes of Highways 880, 680, 237 and 238. 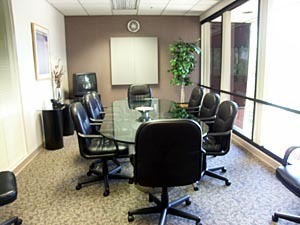 Nearby to International airport and accessible to the Bay Area Rapid Transit (BART). This light rail system connects to most major cities and suburbs, as well as the Oakland International Airport. Our center offers everything you need for your business all in a convenient urban location, with all the benefits of a suburban environment. 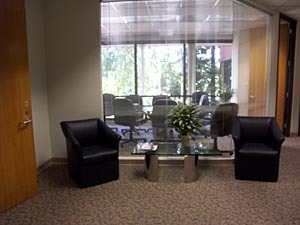 The grounds surrounding the center are beautifully manicured and have a flowing creek which provide inspiring views for the furnished offices.